This is the mid-range membership from The Original Wine of the Month Club ™, offering generally well-made wines from well-known areas. At $15-20 a bottle, it's competitive with several other wine clubs on price, but they're more willing to push the envelope on lesser-known wine regions and grape varieties. Our take on why they call this Vintners Series is that at this price point you're starting to see the personality and preferences of the winemaker in the final product, as opposed to wines that are produced in more of a large-scale production manner. We find the selections to be hit or miss for this wine club, but we're pretty picky. A The Vintners Series membership costs $33.96 for 2 bottles of wine. Shipping costs extra and is $10.75 per shipment plus sales tax where applicable. The price per bottle, with shipping, ranges from $22.35 to $24.92 depending on how you configure your membership. This is the wine of the month club that started it all—they literally invented the concept, over 40 years ago. 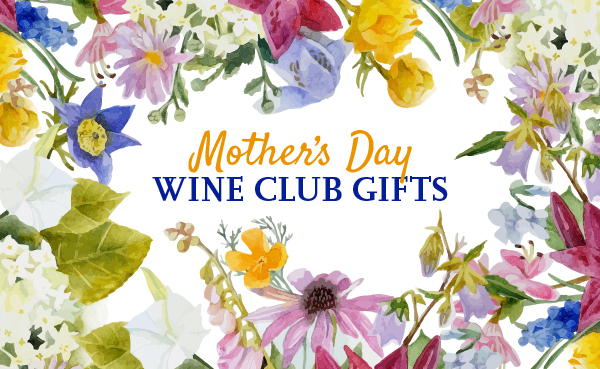 They've got loyal members who are long time subscribers and Wine of the Month Club keeps their prices low to help keep these members in the fold. That's nice! The bamboo wine accessory set pictured above (and the burgundy-colored box) are included in the first shipment of a pre-paid 12-month Vintners Series Gift. A 4-month pre-paid gift comes with a corkscrew, and a 6-month pre-paid gift comes with a vacuum pump to seal wines that are opened but not finished. The Vintners Series represents The Wine of the Month Club's mid-range selections. The wines are okay quality and the selections are unlikely to be at a grocery store, but will be available retail at stores other the winery. If you typically drink wine in the $9-12 price range, you'll enjoy the selections from this wine club, and especially the additional discounts membership gets you access to. At WineClubReviews.net we take an objective approach to our star ratings system. Our written reviews are very much subjective, based on our 5+ years of wine club review experience and our own ideas about what good wine and good value mean. The star ratings are based on 11 attributes that we feel define what a wine club should be. Here is how The Vintners Series Wine Club stacks up on these traits. Note: This rating is our objective analysis of The Wine of the Month Club’s satisfaction guarantee—not our assessment of whether or not you’re guaranteed to be satisfied with their wines. You never pay for a wine you do not like. If for any reason at all you don't think the wine is for you, call or email us and we will send you something you do like… no questions asked. Over the years we've been reviewing The Wine of the Month Club, their Vintners Series quality has gone down hill. A dogged determination to keep prices low despite every cost related to the program going up (shipping costs, packaging costs, amd wholesale wine prices to name a few) has led to a decrease in the quality of the wine. There are two things of note here: 1) They're not selling you "bulk wine" which was produced in a nameless, faceless facility and has a random label slapped on it (some clubs do!) and 2) Taste is subjective, but quality is not. Certain flavor profiles do not belong in wine, and we saw a surprising amount of funk in the last shipment we received (July 2014). To be fair, we don't normally drink wine in this price range very often. If you are accustomed to $7-9 bottles of wine, you'll probably really enjoy the variety you find from The Wine of the Month Club, and the deep discounts on reorders. The Wine of the Month Club has an excellent customer service record. It's a big part of why they're so successful. Each month Paul Kalemkiaran, President and owner of The Wine of the Month Club, tastes over 400 wines to select the ones that make it into his club shipments. We've been lucky enough to participate in this Tuesday Tasting (sometimes it's even broadcast live on the Internet) and see Paul's process first-hand. The thing we took away from the experience was that he IS selective about the wines that go into the club shipments, but he gives the distributors a pretty narrow price window within which to operate, so the wines he's choosing among aren't the cream of the crop. The Wine of Month Club is big on deals. Their introductory offer, FOR GIFT ORDERS ONLY, includes a free wine accessory. For The Vintners Series, the accessory depends on how long of a subscription you buy. Discounts on reorders are available and steeply marked down from the shipment price for the same bottle. This is a terrific deal if you liked the wine. The member guide shows the 2010 Wilson Daniels Pinot Noir from the California Central Coast retails for $22.99 (we don't believe this is accurate), the member price is $15.98 (that's what you pay in the shipment), and the reorder price is $13.99 (about what the wine is really worth). Lastly, they do offer special members-only deals. When they want to close out inventory, they'll mark it way down. We've seen Vintners Series wines priced as low as $7.99 a bottle. We've also seen free shipping deals with some frequency. For members, these deals are a great way to a lot of wine at prices that are hard to find elsewhere. Even more value! When you subscribe to The Wine of the Month Club, you’ll also get access to members-only pricing on everything they carry in their Wine Shoppe. The Tasting Room, The Wine of the Month Club's publication that goes out with their wine clubs, is chock full of information about the winemaking region and the winery, but a little light on info about the wine—our favorite element of their booklet? The drink-by date! This is an important data point that many wine clubs leave out. The price of these wines are (in our opinion) too high. It's not because the wine is expensive, but it's because the wines should be retailing around $5-7 a bottle, not $15.50. With all of the attention printed inserts (with advertising), fancy packaging, etc., the wines are cheap and you're paying for all the fluff. A personalized wine club used to mean you picked the color of your wine and how often you received your two-bottle selection. With The Wine of the Month Club, it still does. There aren't any other options for personalization. The Wine of the Month Club is a more old-fashioned company. If you need to hold your service for a vacation or want to cancel your membership you'll need to call and speak to someone during regular business hours. You can change your address and update your credit card online. They also make reordering easy from your account section. As the first wine of the month club, there was a time when they were unique. The market has done a great job of copying what works and improving on the original concept. The Wine of the Month Club will need to do some serious innovating if they want to become unique again in this crowded space. If you're on the hunt for an affordable wine of the month club gift for someone who is into wine, this is a good choice. The gift packaging presentation is impressive and the free wine accessory with every gift really adds to the fun for the recipient. Other delight-generating aspects of The Wine of the Month Club are the charming custom shipping box and the heavy-duty binder to hold all of the recipient's tasting notes. Note: The gift shipment costs more than the regular shipment.